Follow and interact with multiple social networks. Is there a better alternative to Life Stream? 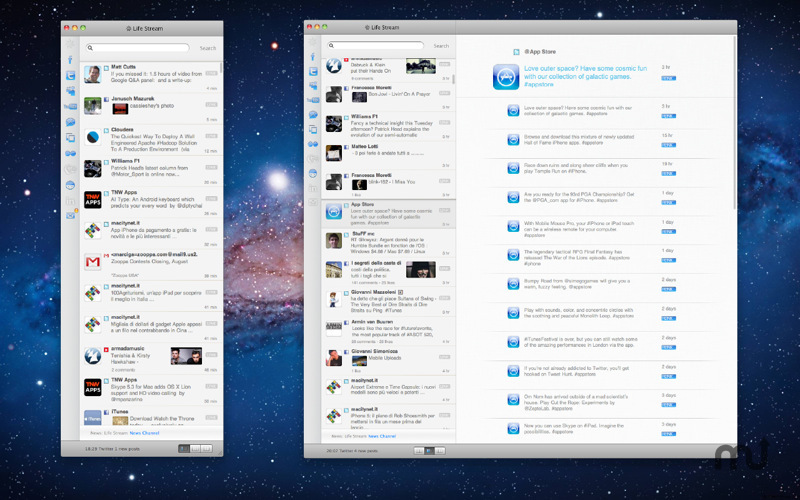 Is Life Stream really the best app in Internet Utilities category? Will Life Stream work good on macOS 10.13.4? 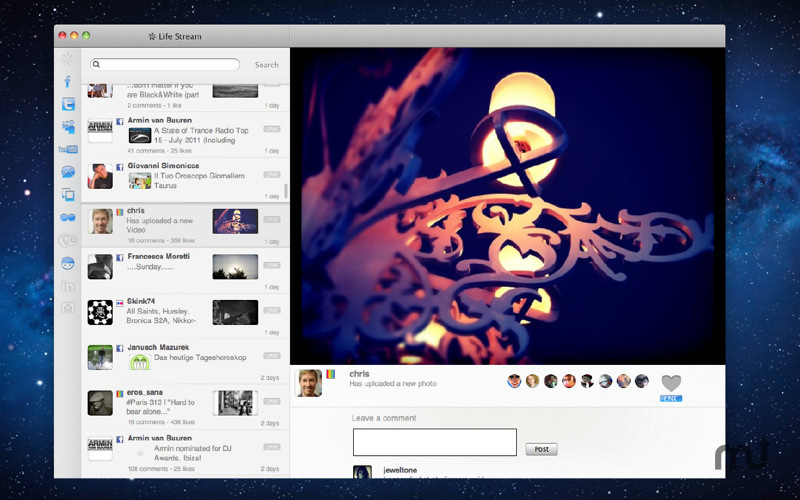 Life Stream is an application allowing you to follow and interact with multiple social networks without using the browser. Follow all your friends from one unique stream, and interact with them cross sharing links between various social networks and services. 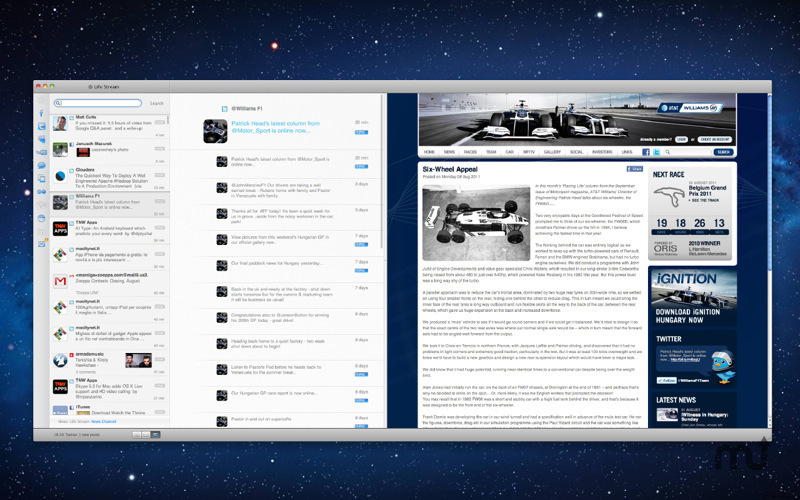 Life Stream has three display modes, a simple notifier with integration window and a wide view on the original Web page, or on the related link not to open the browser where it will be possible viewing links to Web pages of posts, without leaving the application, Also, for optimal an view, full screen mode is supported on OS 10.7 or higher. You can enable a sound notification when you receive a new message, and if Growl is installed, notification will be displayed. 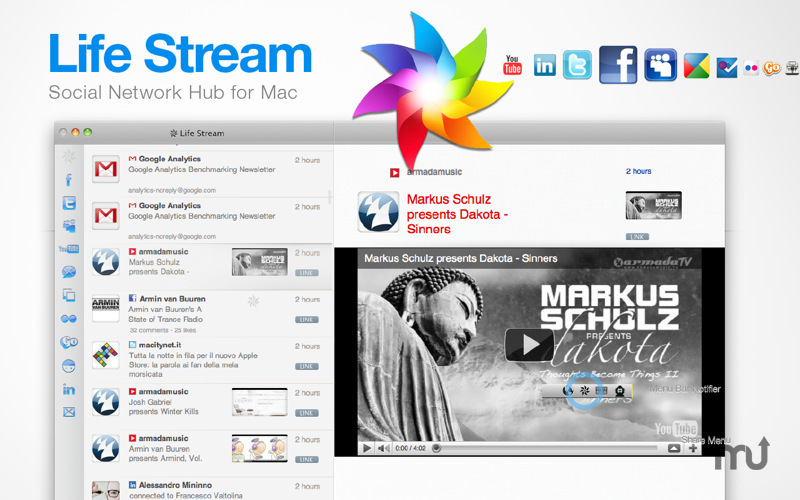 Life Stream stores all posts and you can search for them later. Facebook, Twitter, Instagram, Flickr, YouTube, GoogleTM Buzz, LinkedIn, MySpace, Gowalla and Foursquare are currently supported. 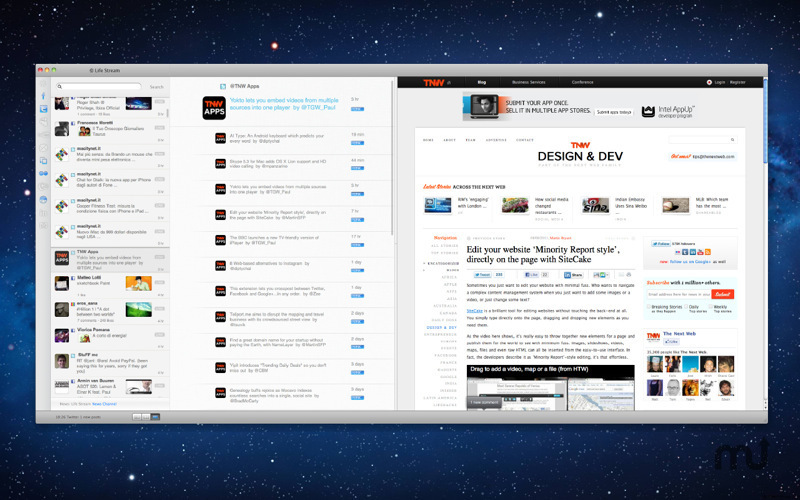 You can also view mails of your Gmail account in the stream. The list of supported social network is constantly updated and new services will be added upon users request. Life Stream uses public APIs to authenticate on social networks; password is never stored, except for Gmail, which is saved encrypted in keychain. Life Stream is a young application. If you have any suggestions or requests please do not hesitate to contact us; we will listen and implement them in next realease and remember that all updates are free. Safe mode is also available by holding the shift key at startup of the application.